Yeah! 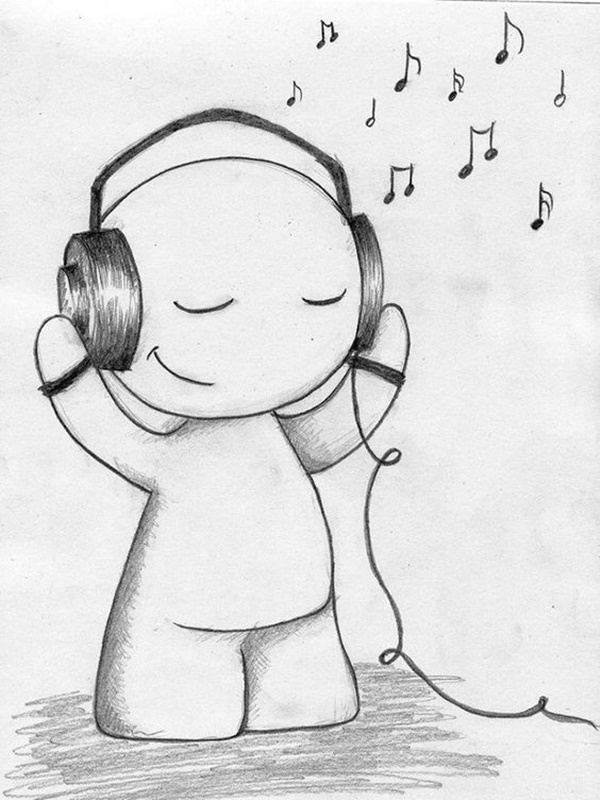 There are moments when you feel bored and got no idea to do anything interesting, yes, let’s admit it. But if you ever noticed, two minutes of boredom can make you feel the negative and low energy. But, being an artist you can’t sit like this as there are plenty of ideas to kill the boring time and make it worth living and valuable. And the only thing that can make your time valuable and fun-filling is art or the work you love to do. 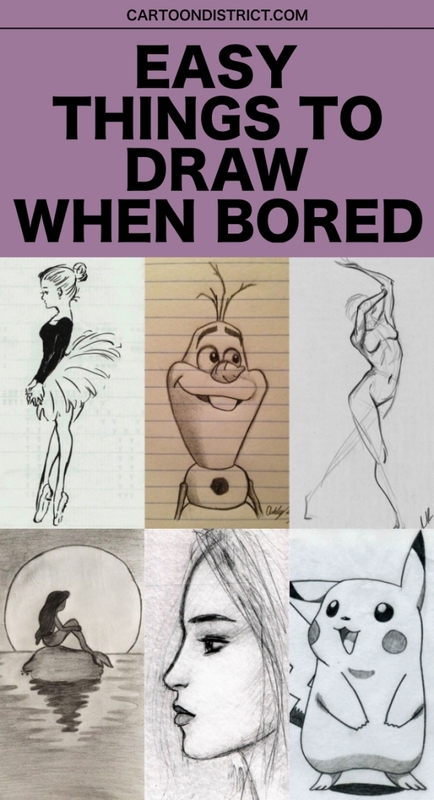 And today, we got you cool and easy things to draw when bored. 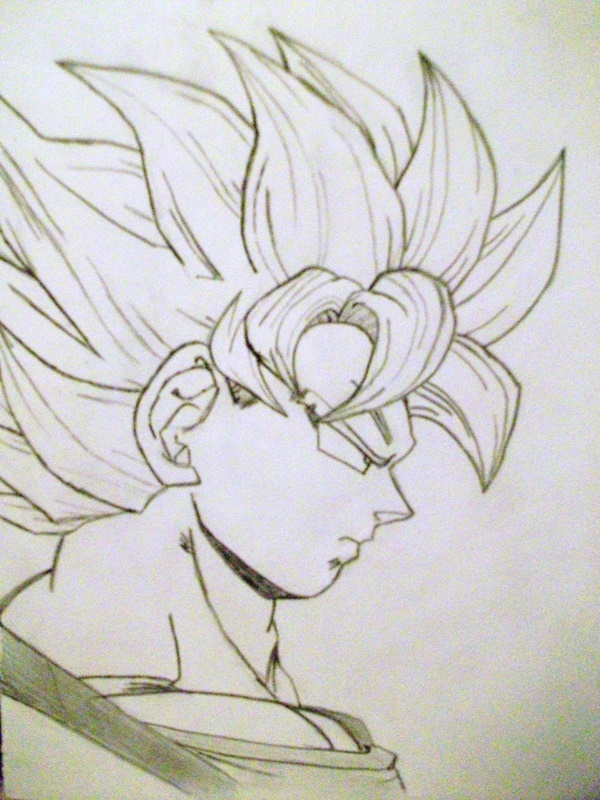 The best thing about drawing is that you don’t need ‘that many’ supplies as you can craft a masterpiece only with a pencil and a paper. 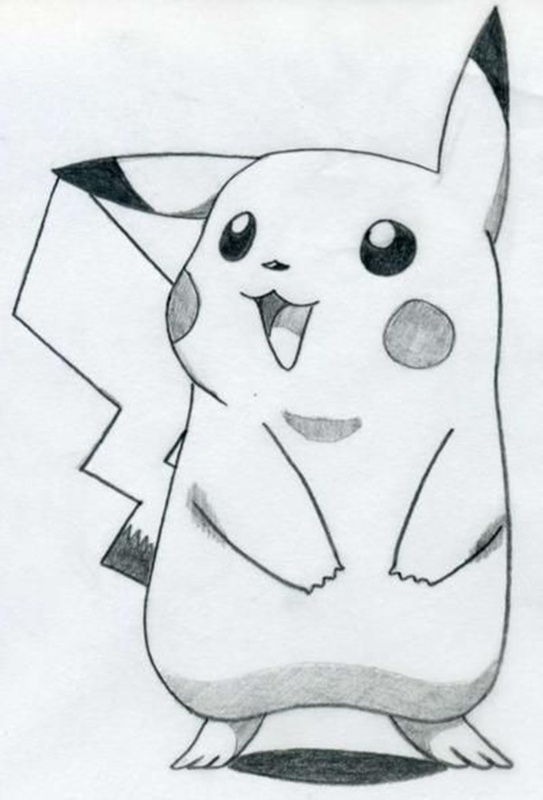 Moreover, if you’re not an expert artist and want to start drawing as a beginner then you better practice with simple and easy drawings for beginners. 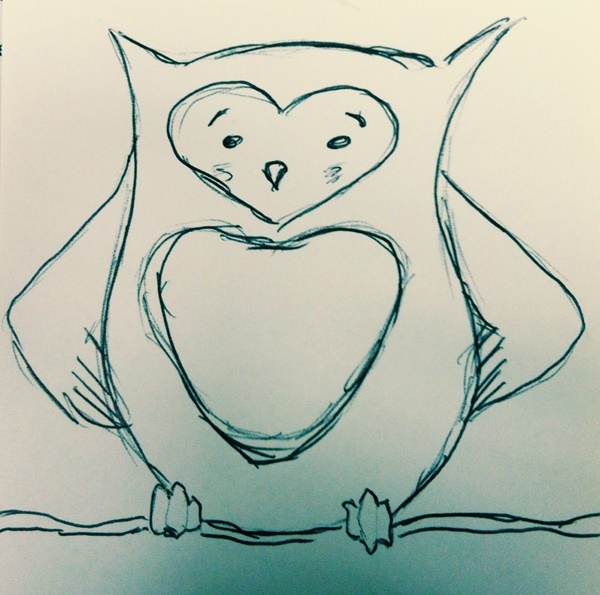 This bird might get you the flashback of your childhood when you used to draw the birds. 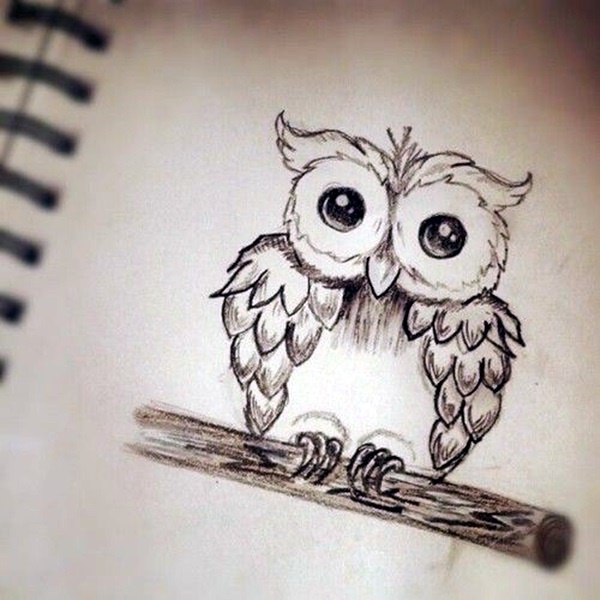 And in order to draw an owl you need to draw the rough sketch first and then only you can give it final touch with the darker pencil. 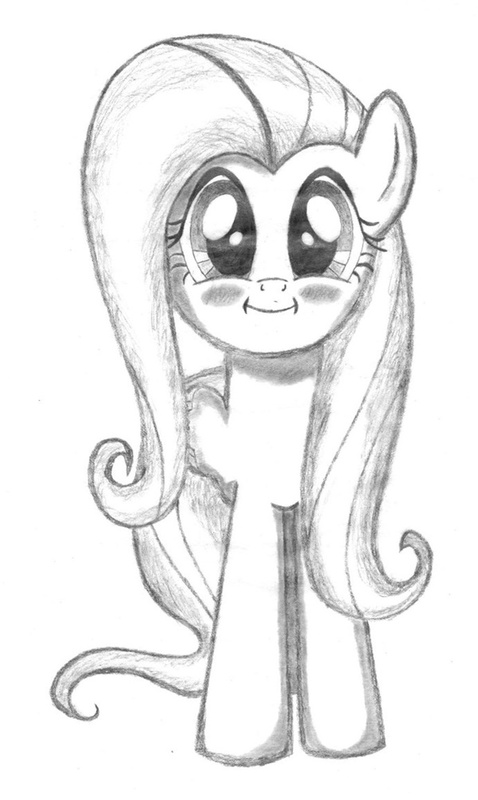 Moreover, once it’s done, feel free to use cotton for shading. The anchor is something in trend and that’s why people are fascinated by this design when it’s about getting inked. 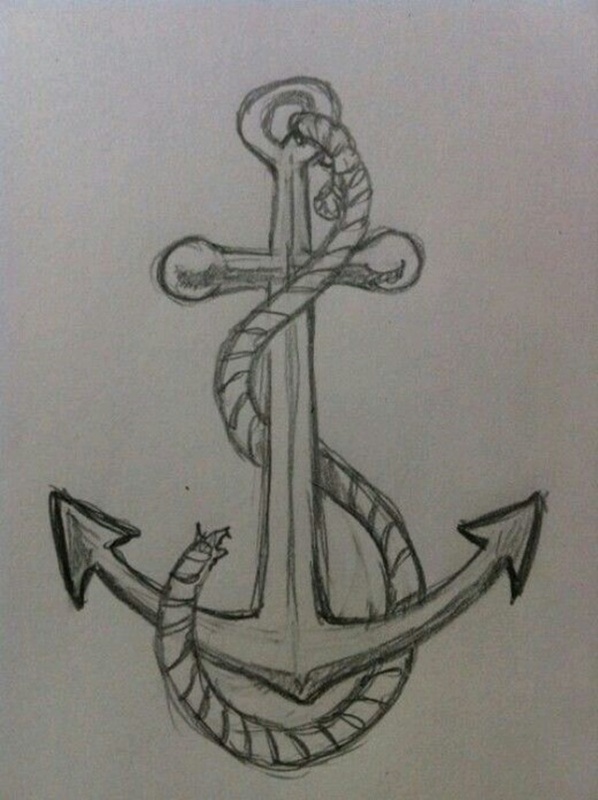 The anchor represents the stability in life as it’s used to stabilize the boat. 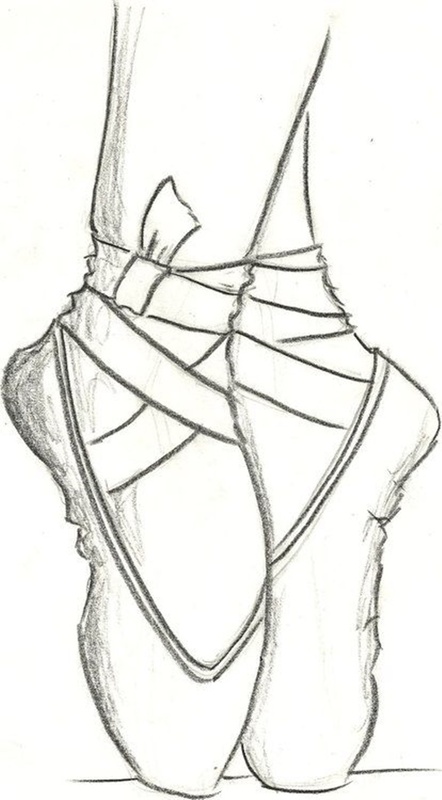 And in addition to that, you can draw rope to give it a complete and significant look. A mythological sea-girl that has never been seen by anyone but people strongly believes in her existence. 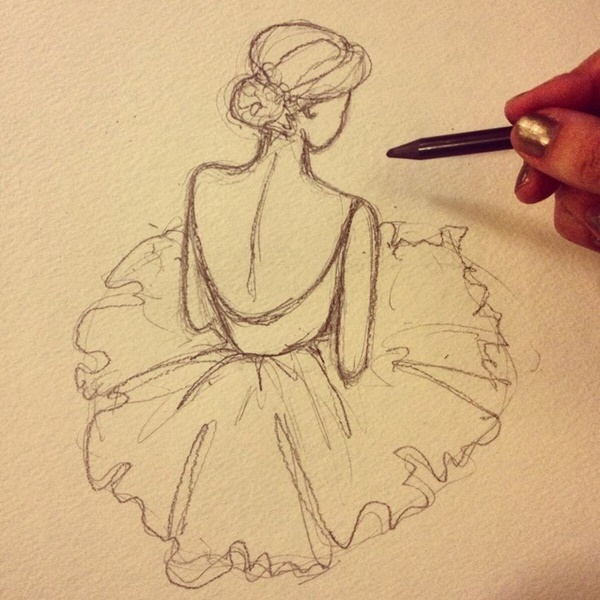 And if you also dream about her and but could not get the chance to see her live then least you can do is her drawing. 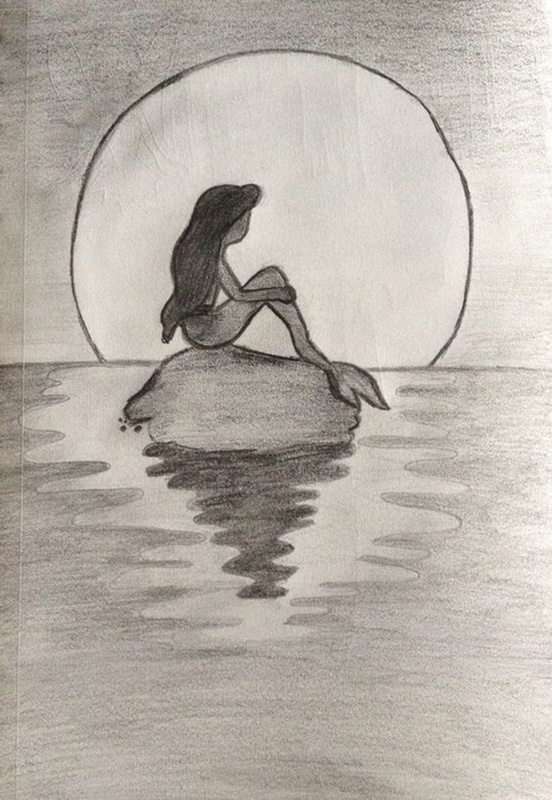 Yes, a beautiful mermaid sitting on a rock admiring the sunset can win you big appreciation. Just look at these lips once again and you’ll find them cool and easy as well. 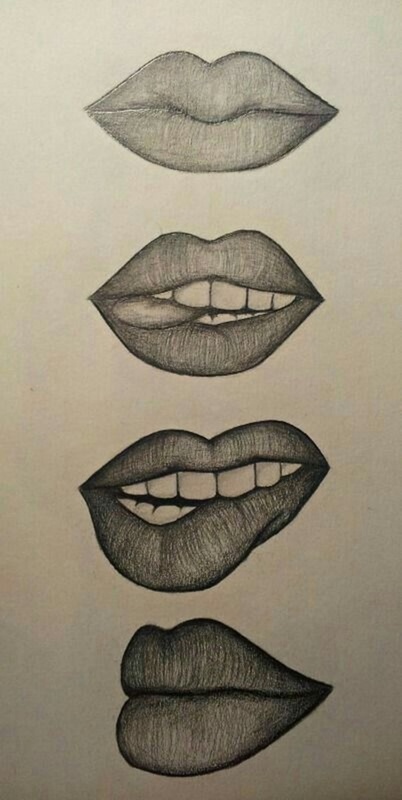 Yes, lips are one of the best options for you when you’re about cool and easy things to draw when bored. And if you think you can make any of these designs easily and in no time then you better try with more shapes and variations. Ahan! If you have enjoyed the belly dancing and consider yourself as a true admirer of belle dancing then you can have this idea. 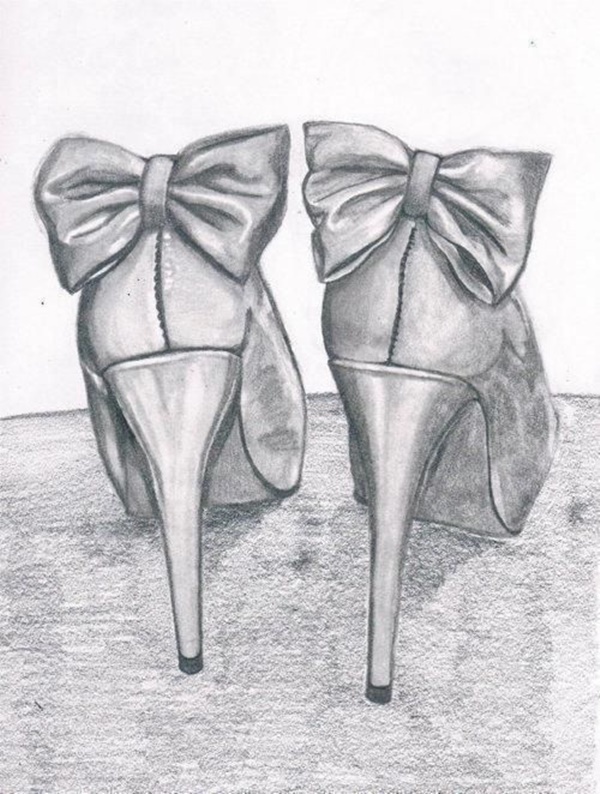 Shoes, ribbon, and ground to make the posture look perfect are the things you need to work on. Shading can enhance the presentation of your masterpiece here. 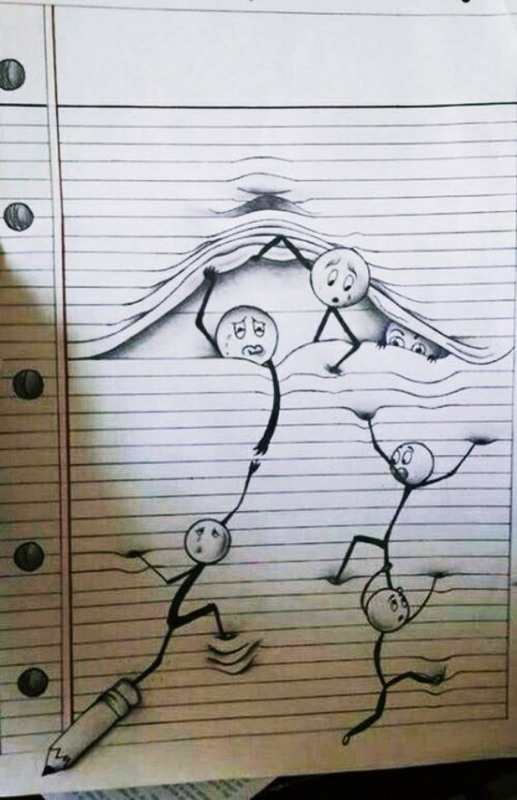 This is something unique and creative, right! And in order to craft yourself this kind of drawing you need a page with horizontal lines not the blank white sheet of drawing. This may seem tough to you but keeping the sections separate you can draw the body parts one by one. 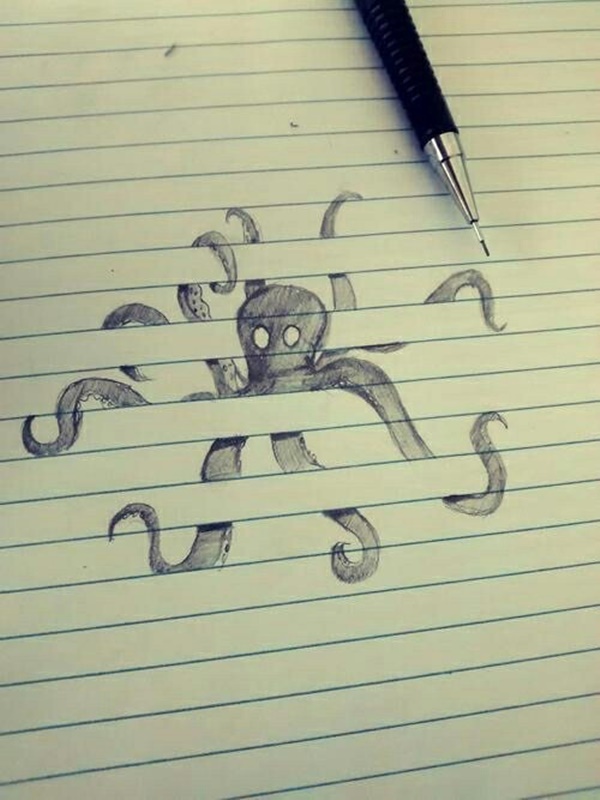 And at last, you need to do the dark shading to make the octopus look realistic and 3D. Looking for an easy way to draw sheep? 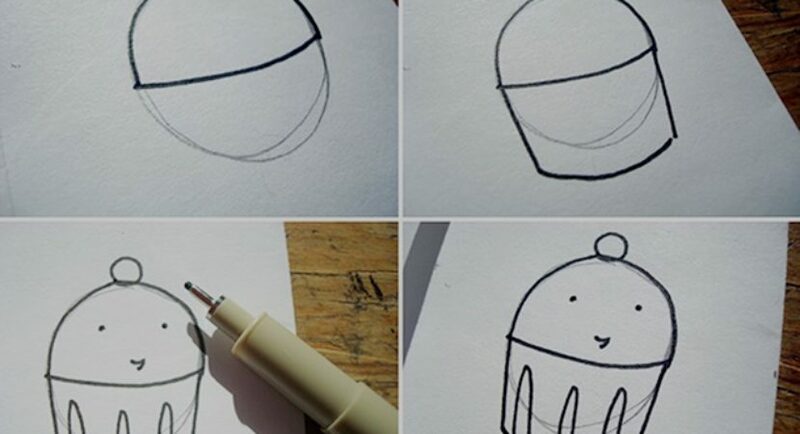 Well, no matter, if you’re a beginner or even a kid and drawing, is not your cup of tea than you can try this idea. Yes, first make a square box and circle to its left side then you can easily give your pet segments to draw easily and perfectly as well. By following the step by step tutorial image you can get it done in no time.